The Drone Ship ‘Of Course I Still Love You’ lingered in the waters off Florida’s coast line for the past two days awaiting entry into Port Canaveral just south of SpaceX’s launch pads. Normally, SpaceX has to negotiate around cruise ship traffic in and out of Port Canaveral, but this time ASDS also had to remain clear of the port when the British ballistic missile submarine HMS Vengeance came in to dock at the Naval Ordinance Test Unit. Maneuvering a still armed rocket next to a nuclear sub was not considered a wise idea, resulting in ASDS getting a few more days of sea practice with Falcon 9 sitting atop. 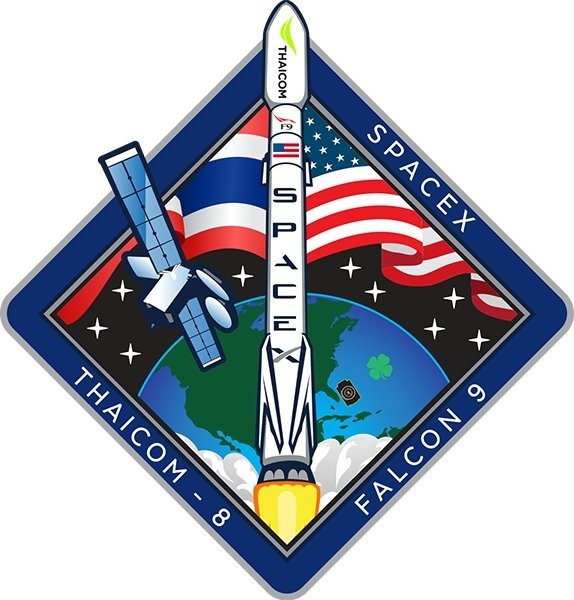 The Falcon 9 rocket carrying the Thaicom 8 commercial communications satellite lifted off from Space Launch Complex 40 at Cape Canaveral last Friday at 21:39 UTC. 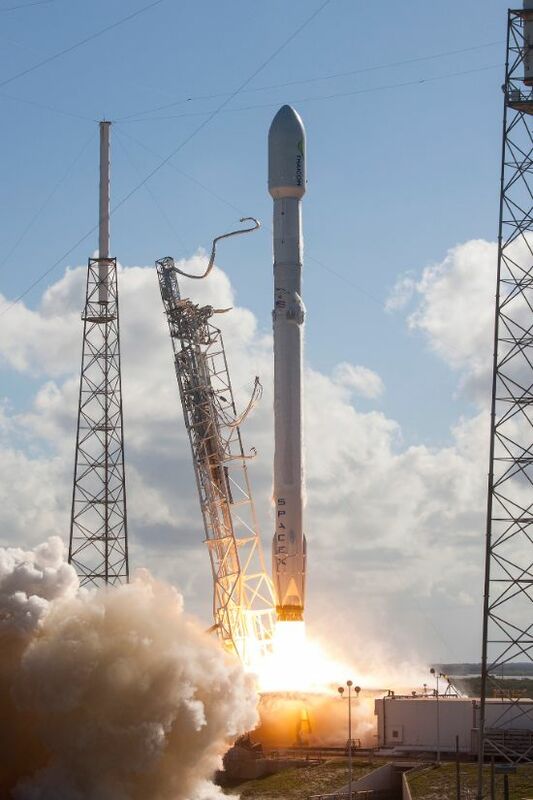 Thundering off with its nine Merlin 1D engines firing at full throttle, Falcon 9 swung to the east-south-east to take the standard path to Geostationary Transfer Orbit in another high-energy delivery mission. The first stage fired for just over two and a half minutes with four pneumatic pushers in charge of pushing the core away from the second stage moments after Main Engine Cutoff. The second stage successfully executed a pair of engine burns and released the 3,025-Kilogram Thaicom 8 satellite into a highly elliptical Supersynchronous Transfer Orbit peaking at 91,000 Kilometers in altitude. Delivering the satellite to its target orbit to begin a 15-year mission was the primary goal for mission success with the first stage landing remaining an experimental secondary objective. Separating the second stage 66 Kilometers in altitude, at a speed of Mach 6.8, the booster immediately began its speedy return sequence. A spectacular sped-up video of the first stage’s return from the edge of space shows the booster deploying its four actuated grid fins while still in the process of spinning around to an engines-first position to get set for re-entry. Firing up three of its engines for around 20 seconds, the booster slowed down prior to hitting the atmosphere. As a high-energy orbital delivery, this mission created another particularly hot re-entry for the first stage, having to endure high dynamic pressure and extreme temperatures. Speeding towards the clouds, the booster slowed below the speed of sound and used the grid fins to guide itself to the Drone Ship – holding a precise position 680 Kilometers from the launch site. Blazing towards the Drone Ship, Falcon 9 re-ignited three of its engines to rapidly slow down before shutting down the outer engines and continuing its landing under the power of the center engine alone. Onboard video shows the landing legs deploying moments before the booster makes contact with the Drone Ship. 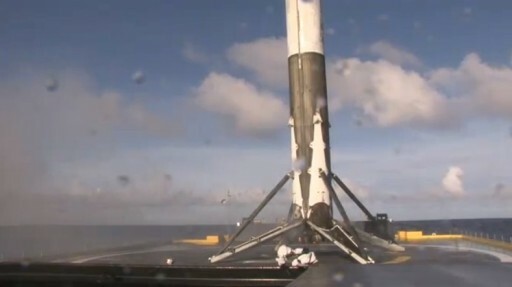 Landing was dead center on the Drone Ship’s deck but the landing speed was close to the rocket’s design limit, causing the ‘Contingency Crush Core’ to come into action – a device Elon Musk describes as an “aluminum honeycomb for energy absorption in the telescoping actuator.” This is a replaceable part within the legs giving Falcon 9 the ability to survive corner-case landings at higher speeds. As a result of the harder landing, the stage was understood to be less stable than the first two rockets recovered at sea. Observers on Florida’s Space Coast spotted the Thaicom 8 first stage, designated F9-025, above the horizon on Tuesday, clearly showing the vehicle leaning to one side as a result of the harder landing and the crush core being used up in one or multiple legs. ‘Of Course I Still Love You’ remained around 10 Kilometers off shore for over two days – either due to work being required to prepare the booster for the return to port or SpaceX was waiting for traffic to clear in and out of Port Canaveral. 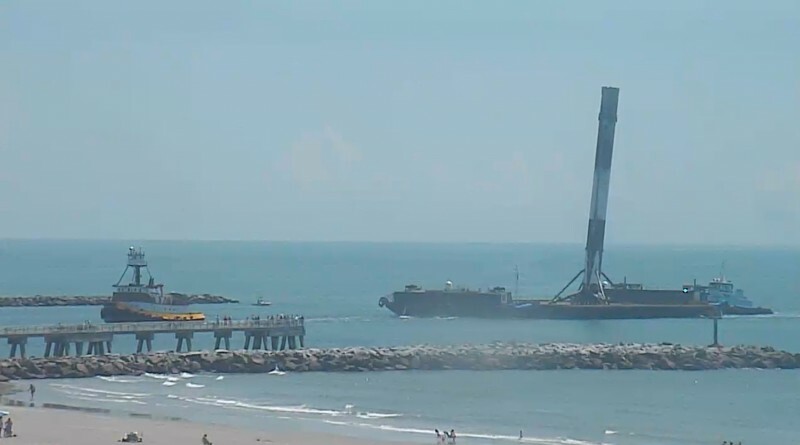 Thursday morning, SpaceX coordinated with Port Canaveral to bring the Falcon 9 rocket back to shore and received a pair of entry windows at 11:30 a.m. and 5 p.m. local time – again negotiating around cruise ship traffic. Work of preparing the rocket stage proceeded on schedule and OCISLY made use of the first entry window of the day. Observers present on location shared photos of the leaning booster, showing the typical attachments connecting the base of the rocket to the Drone Ship’s deck plus additional measures taken to stabilize the rocket. 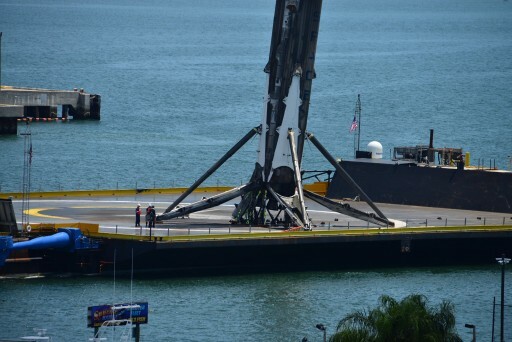 Photos also show that the entire booster moved close to the edge of the Drone Ship at some point after its bulls-eye landing and – due to the crush cores being used – only stood on three legs. 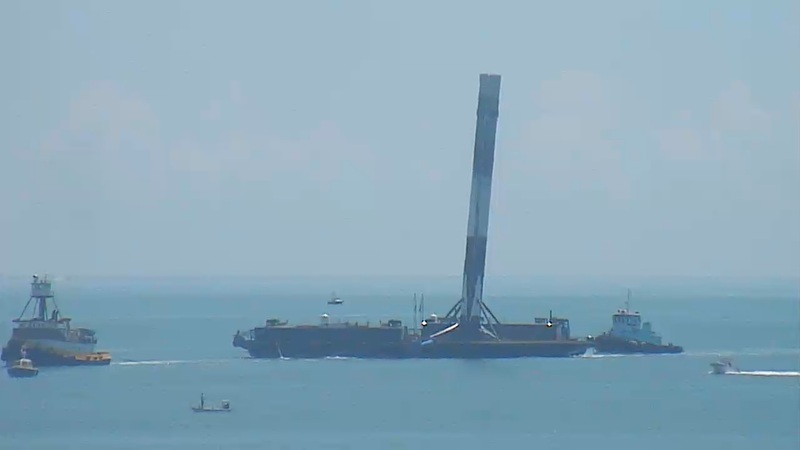 The leg in question was propped up and Falcon 9 appeared stable when entering port. Heading through the canal, the Drone Ship was docked after a journey of 12 days, fetching a Falcon 9 rocket in the middle of the Atlantic in support of SpaceX’s continued quest to achieve regular re-usability of Falcon 9 first stages. Rocket stages heading into port is hoped to become a routine sight in the not too distant future, this being the third sea-based recovery following the successful landings of the SpX-8 booster in April and the JCSat-14 first stage early in May. Back in dock, Drone Ship offload will be a procedure taking up most of the day on Thursday, starting with the attachment of the stage to a crane. A short crane ride will follow to place the stage onto a processing stand where the legs will be removed and final safing will be completed by draining leftover Rocket Propellant 1 and igniter fluid, and safing the vehicle’s Flight Termination System. 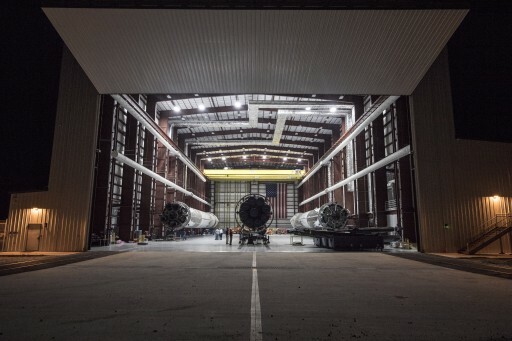 The stage will then be moved via road, most likely to the Horizontal Processing Facility at Launch Complex 39A that is currently serving as a storage facility for returned Falcon 9 stages. For the Autonomous Spaceport Drone Ship, the turnaround for the next launch will get underway immediately to get set for another high-energy landing attempt lined up for the next Falcon 9 launch. 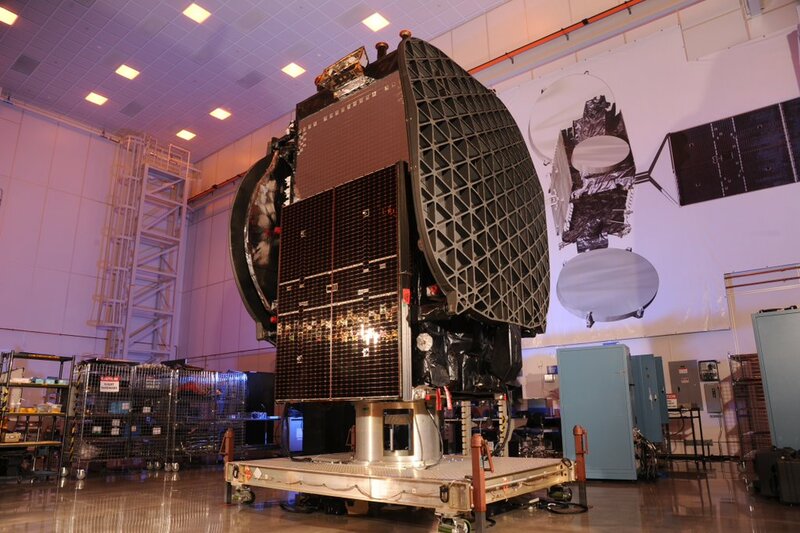 SpaceX is currently working towards the launch of Eutelsat 117 West B and ABS 2A on June 14 which will require the Drone Ship to depart again in one week to take up station for landing. With four returned cores currently in its inventory, SpaceX is working to set up testing to verify its re-use plans for recovered rockets. The F9-020 stage became a trailblazer for SpaceX’s ambitions in December when completing the first successful land-based landing of a rocket stage involved in an orbital mission, returning to Landing Zone 1 at Cape Canaveral, south of Falcon’s launch pad. It is set for a cross-country trip to be placed on display at SpaceX Headquarters in California where it was built. 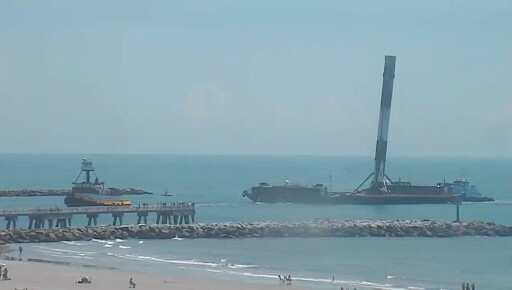 F9-023 that lofted the Dragon SpX-8 cargo craft and mastered the first Drone Ship landing is currently expected to undergo a testing campaign before being readied for a re-flight on a commercial mission later this year. Initially, the plan was to re-fly the stage by the summer time frame, but that date has since drifted to the right as SpaceX identified the need for more in-depth inspections of returned core stages. The F9-024 stage that sent the JCSat-14 spacecraft on its way and successfully stood the first high-energy landing with three-engine landing burn was expected to be shipped to SpaceX’s McGregor Test Facility where component testing and static fire tests will be conducted. After its blazing re-entry, the stage was found to be in a condition requiring extensive refurbishment to be flown again. Testing of the various components after an ascent/entry cycle will deliver valuable knowledge on systems that need to be reinforced to permit cores involved in GTO missions to be reused. No plans for F9-025 have been outlined yet, but engineers will be eager to get their hands on the vehicle to obtain more information on the state of flown hardware. The next Falcon 9 mission will feature a similarly tight propellant budget available for landing as the last two flights did. Lifting a pair of Boeing-built satellites into a Supersynchronous Transfer Orbit will create another challenging re-entry for Falcon 9. SpaceX expected neither of the last two landings to succeed given the tight margins and high entry energy, though Falcon 9 has proven to be resilient and managed to land in the center of the Drone Ship in both cases. Demonstrating the repeatability of booster landings in the ocean under challenging conditions is key in SpaceX’s plans of regular re-use. 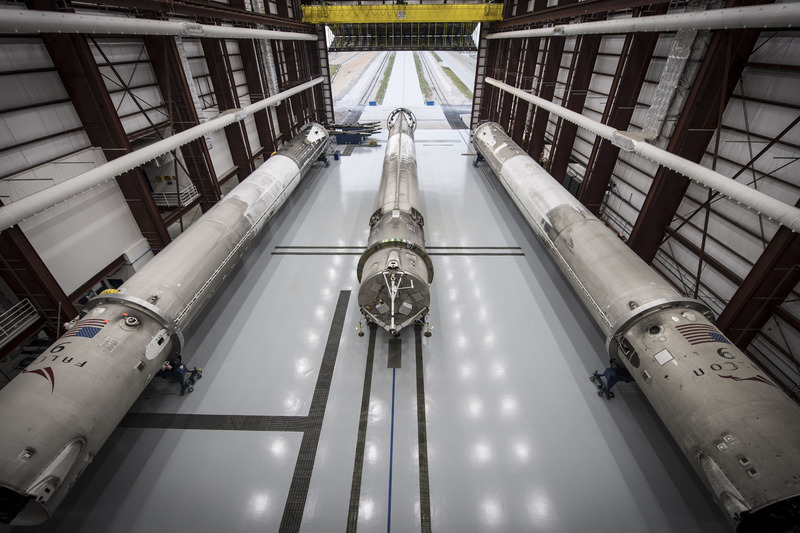 However, the company expects a number of failures along a multi-year path to routine re-flights of Falcon 9 and Falcon Heavy cores. 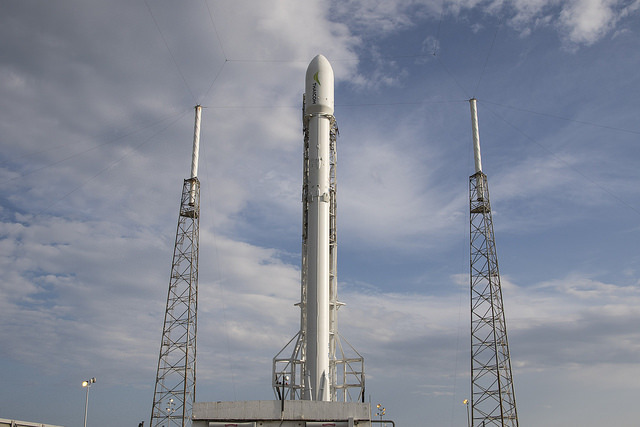 The Dragon SpX-9 mission penciled in for July 16 will see the next attempt of returning the Falcon 9 first stage to land as Low Earth Orbit missions leave the rocket with plenty of excess propellant for a boost-back to the Space Coast.